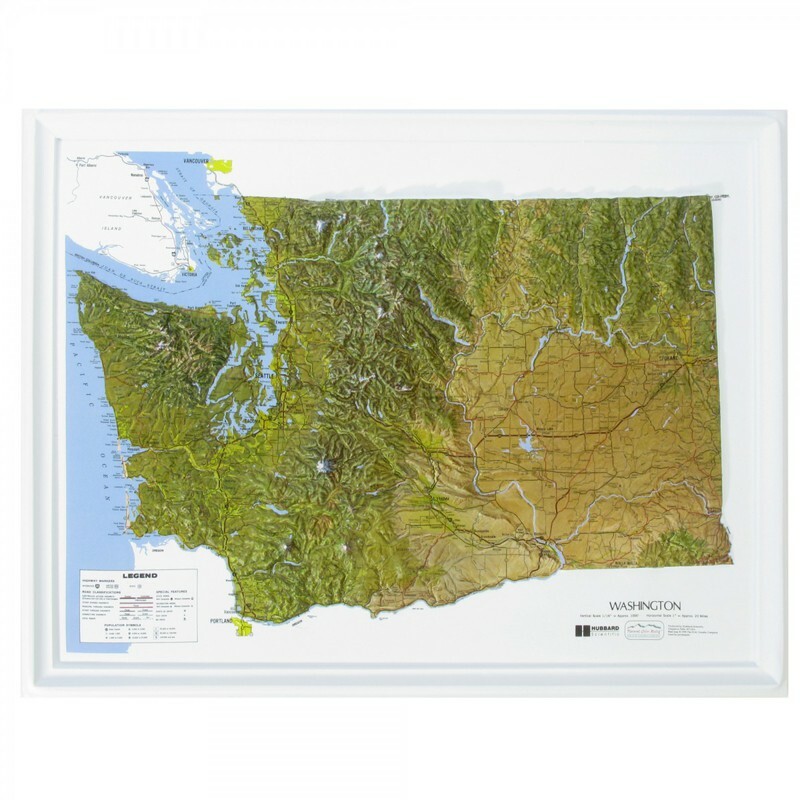 The K-WA2217 is a raised relief map of the state of Washington. 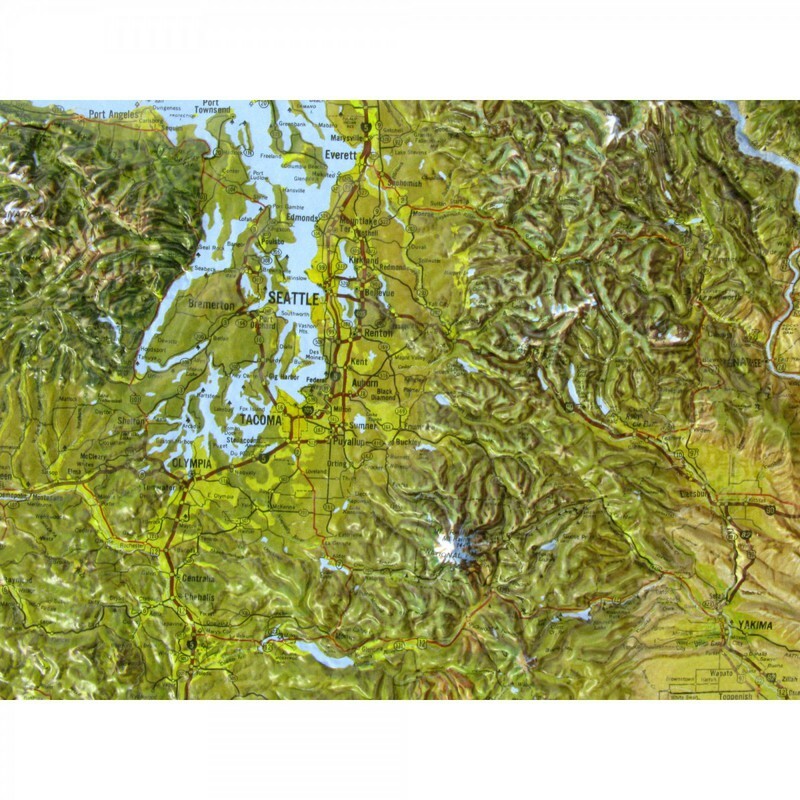 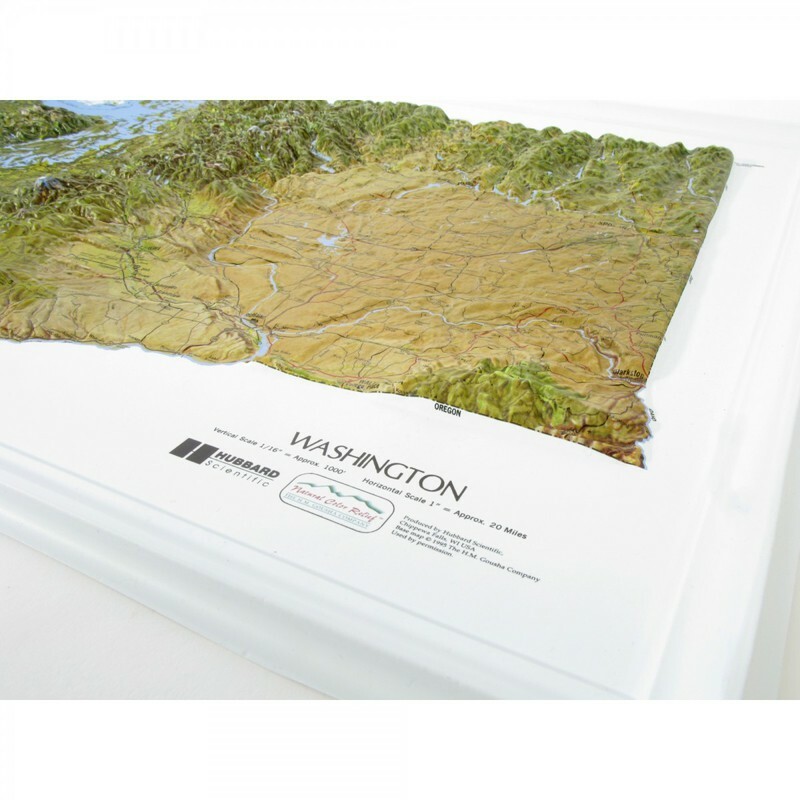 NCR (Natural Color Relief) maps offer the same detail but use colors appropriate to the natural terrain of the state. 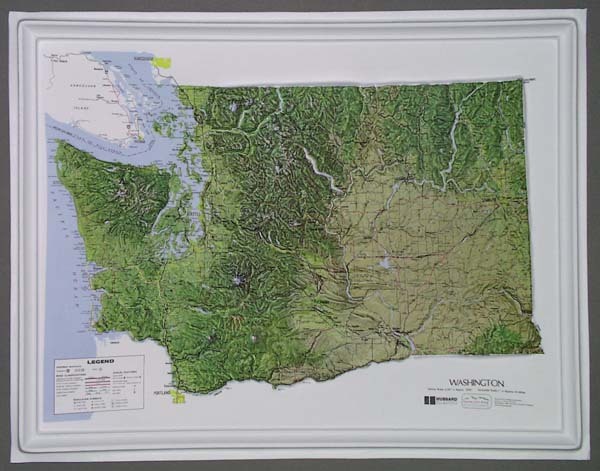 Copyright 1995 cartography 1995. 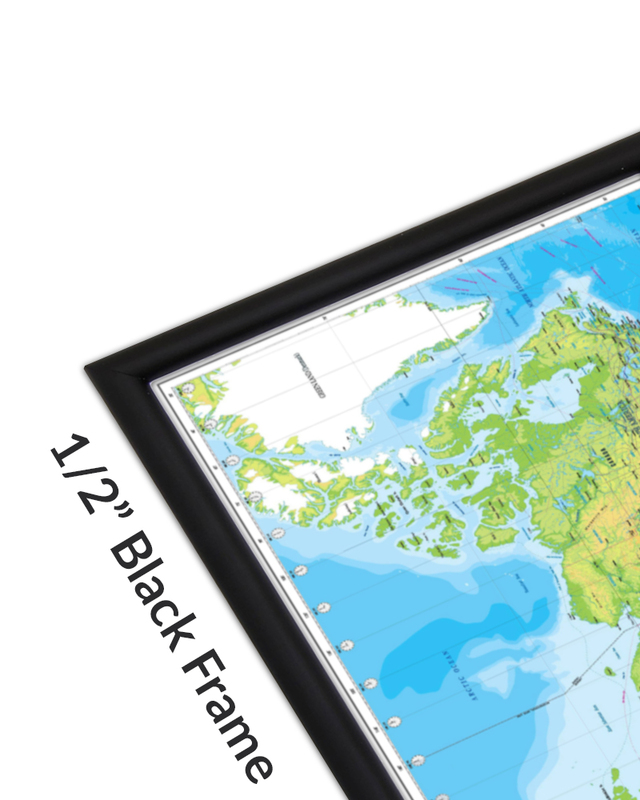 22" x17".